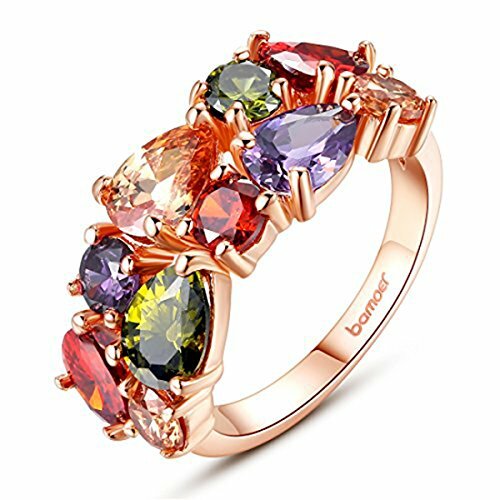 Bamoer Our company specializes in the development and production of high quality fashion Jewelry. Our main products: bracelets, necklaces, rings, earrings , watches and etc. We use different material and styles to cater for the wears of all people,our persuit is to the world of the first-class brand. Bamoer hope to bring you more beautiful! This beautiful fashion ring easy to match the clothes suitable for any occasion, such as birthday and dance party,wedding,to attract all eyes,looks elegant,is a good choice for you to wear every day. Come with a velvet gift bag marked "Bamoer"